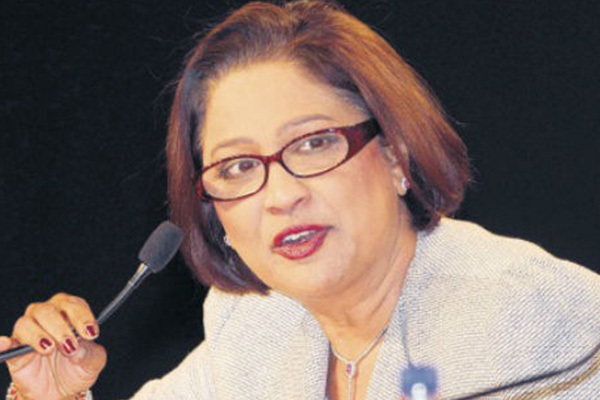 Port of Spain, Trinidad (CMC) — Prime Minister, Kamla Persad-Bissessar has assumed responsibility for the Ministry of the People and Social Development following the firing of Glenn Ramadharsingh – the Member of Parliament for Caroni Central, from that position on Tuesday. In a release on Wednesday, the Prime Minister said she would be taking charge of the portfolio for the time being. “The Ministry of the People and Social Development remains something very close to my heart. It was a promise I made to the nation that was delivered in 2010 and the work of the ministry is important to my vision of poverty eradication, the achievement of social justice and empowerment of people”. “Given the strategic importance of the ministry to my Government’s overall objective of eradicating poverty and enhancing the quality of lives and citizens who are differently-abled or disadvantaged by their circumstances, I will assume charge of the ministry, while I consider an appropriate replacement,” she added. Ramadharsingh was removed from his portfolio following an incident in which he was accused of behaving inappropriately with a flight attendant on a Caribbean Airlines flight from Tobago. After meeting for three hours with Ramadharsingh on Tuesday, Persad-Bissessar advised President Anthony Carmona to revoke his appointment. Ramadharsingh was appointed to spearhead the Ministry from May 2010, following the People’s Partnership victory at the polls. The former minister who has professed his continuing loyalty to the party, is expected to take a position on the back bench when Parliament meets on Friday.